First of all you have to know that, Android is the most loved and popular mobile platform on this planet. There are many reasons for its popularity, but lying within the reach of a common man is the main reason for its popularity. If we talk about the appearance, we had seen many uneducated individuals running the ANDROID device efficiently. The other big reason for its popularity is, the availability of free application for any need at their Playstore. Nearly all the application there, are available for FREE to download. And the name “GOOGLE” behind them, Offcouse yes, this is also one of the major reason for Android’s popularity. We think, that’s enough for the introduction part about ANDROD, let’s move to the actual topic for which we are here today, to change Android default apps for ANY / ALL Files or Actions. Today, we are here to discuss and share some TIPS about changing the Android Default Apps for any File or Action. This maybe a big headache for many, don’t worry here we are going to share the complete solution for this. Understanding the problem, By default when anybody try to open any file, the ANDROID system give some choices of applications to users. Here we can select any desired application and can OPT to use this action for only this time (Just Once) OR all the time (Always). Majority of the people OPT / Prefer to use that action for single time only (Just Once), this means they are willing to get this selection option each and every time. Now, what if anybody after selecting the application has OPTED “Always” option, Oops from now onwards it will never ask the user anything, and will open the file / action with the “Always” OPTED application. To get rid of this, below are the complete How to solution to revert it back to the default. In simple, getting “Just Once” and “Always” options back in life for any file or action. 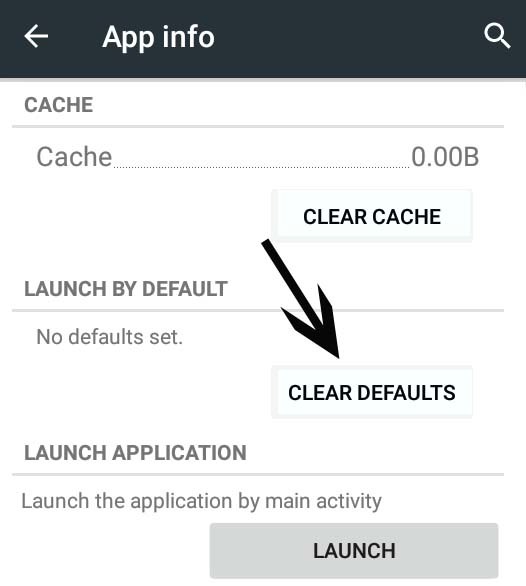 Important: This tutorial had been divided into the two parts, In first part, we will change Android default apps for any PARTICULAR file or action. 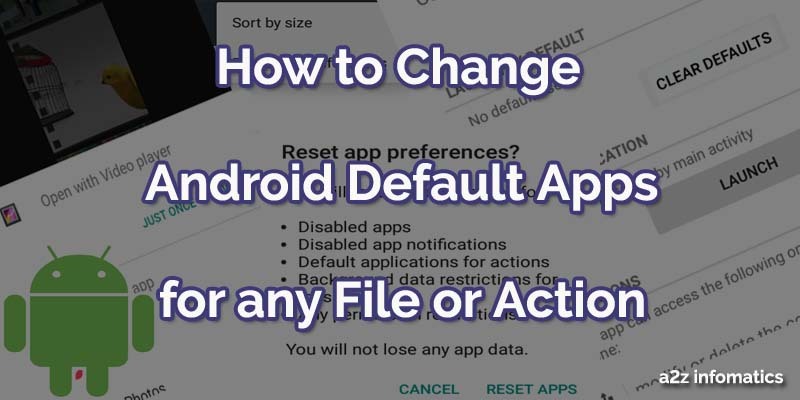 In the second part, we will show you how to change the Android default apps for ALL the files or actions by resetting the preferences for all the applications. 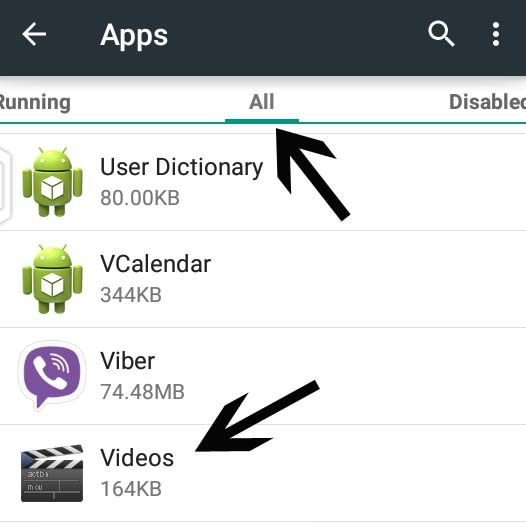 How to change Android default apps for any particular file or action. Suppose, you have OPTED “Always” for any MP4 file to open with the “default Video Player” in Android Phone, and don’t want to touch the preferences saved for all other application, this option is for you. In this demonstration, we are trying to revert it back for the MP4 files, which opens up with the default Video Player automatically (without providing any options). Below are the steps for the same. 1)- Open SETTINGS in the Android Phone / Device. 2)- TAP the option, Apps. 3)- Now move to the Tab “ALL“, by scrolling the screen to the left. 5)- Here on the the “App info” screen, find the option “Clear Defaults” and Tap it. Congo!, Go and try to open that particular file or action, you may see all the default options back to it 🙂 . Yes, you have successfully reverted all the option to default for the file or action. (Here for MP4 files). 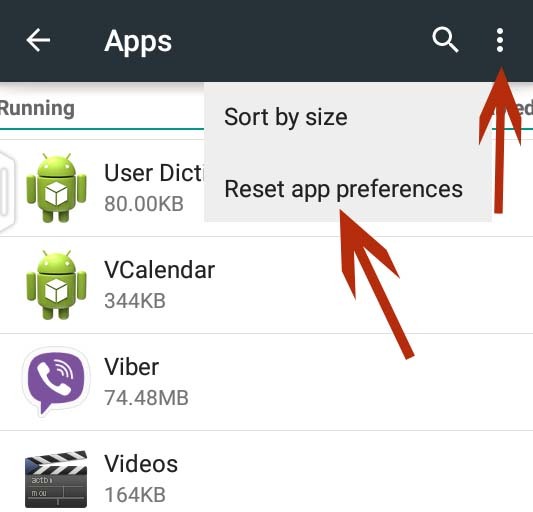 How to change Android default apps for all the files or actions ( by resetting all the Application Preferences). These doings will revert every preference of all the applications to the default. You don’t have to worry about application’s data as it will only effect their preferences. If you are unable to revert the Android default apps for any of the file or action using above method, then this method is for you. Below are the steps to perform it. 4)- Now TAP the options MENU (at top right, shown in the picture below), You will have “Reset app preferences” option available now. TAP it. 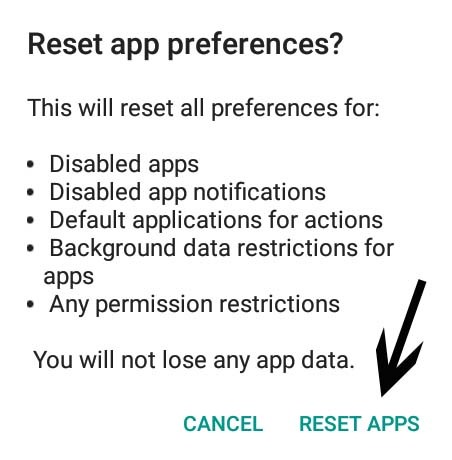 5)- After Tapping “Reset app preferences“, It will ask you to confirm this action to reset, Just supply “Reset Apps” to it and all is done. We hope, headache of many of the Android lovers has been gone now. 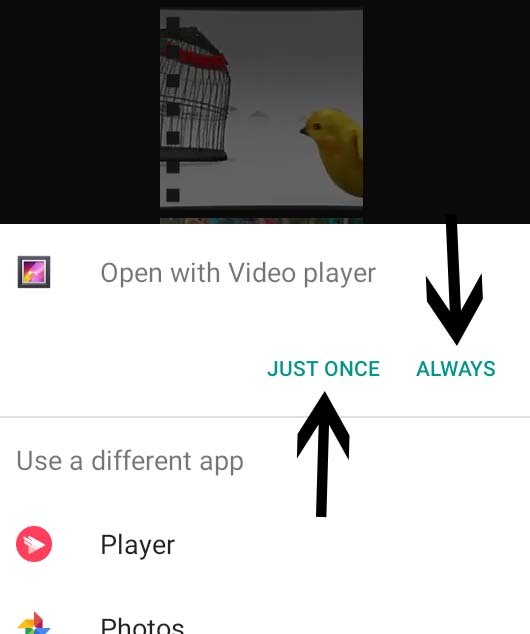 Please do make the habbit to only selecting “Just Once” while operating the Android Phones. If done by mistake, No Worries, this blog will always be here to assist you anytime. We also want to recommend all of you, to use the 1st method first, If that doesn’t work, move to the 2nd method. Although, there are many different Android apps available at Google’s Playstore to perform this JOB, but why to use any of the external app when we know how to do all the doings manually and within seconds, think yourself 🙂 . We also have a good news for all the readers of this blog. From now onwards, you will get the on demand How to / Tutorials related to any of the Android Problems. You just have to request the same under comments section below. That’s it for now, we will be back with many more Android Tutorials. Till then .. Bye bye . Keep visiting a2z infomatics.